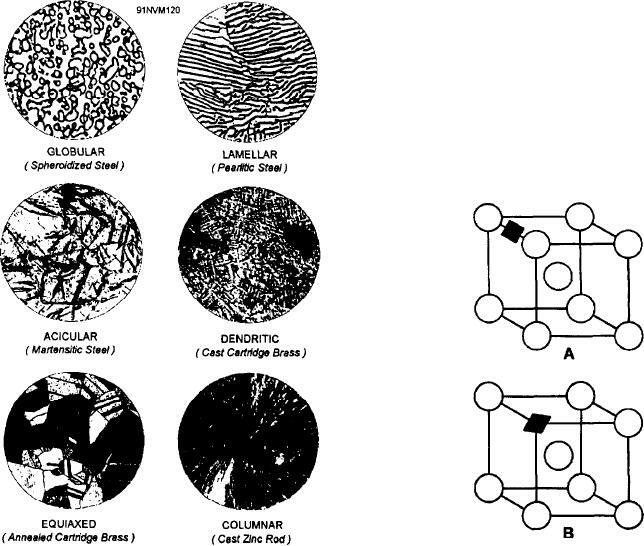 Figure 6-6.--Grain structure in metals. ary to call each visible unit a grain rather than a crystal. approximately the same way cannot join each other. tals and into the grain boundaries. but they are not usually perfect in shape. Figure 6-7.--Space lattices of two forms of solid solution. A. Atoms of one element fit between atoms of another element. B. Atoms of one element replace atoms of another element.